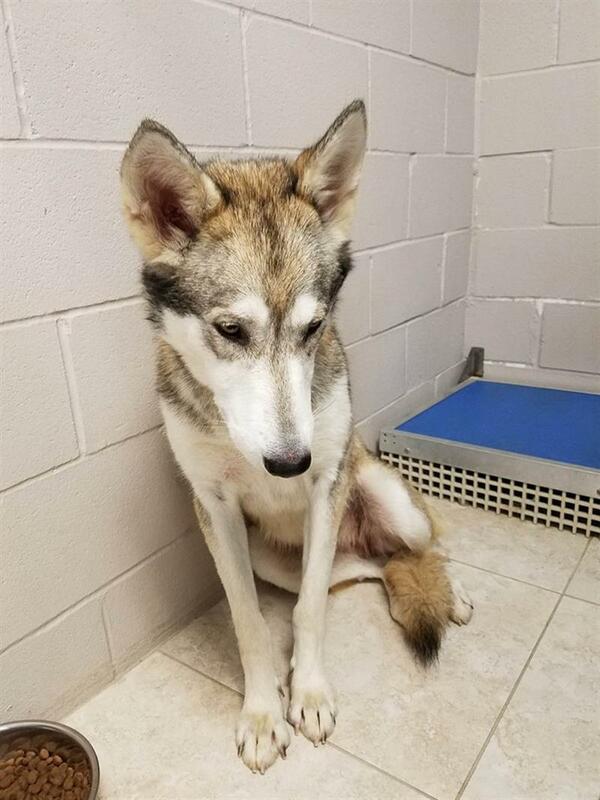 Plan B to Save Wolves is honored to help save Jenna, a beautiful female wolf dog who has spent the last four months in an animal control facility in Friendswood, Texas. Thanks to the incredible efforts of Stephanie Kaylan of Wanagi W.O.L.F. Rescue, Susan Weidel of W.O.L.F. Sanctuary, the animal control officers who refused to give up and Karen Yeager for volunteering to drive 2600 miles roundtrip, Jenna has been saved and will live at Raised with Wolves in New Mexico. We are honored to be a small part of this rescue by funding the transport of Jenna to her forever loving home. It is believed Jenna was dumped by a breeder and was running feral before animal control could catch her. Unfortunately, the facility is in a city that does not allow the adoption of wolf dogs so the animal control officers reached out to the wolf dog rescue community. Jenna is very shy however in her new home she will have a male companion (who has lost his pack mates and is very lonely), and she will be in a one acre enclosure where she can run and play without a lot of human interaction since she is so shy and fearful of people. Follow us on Facebook where Plan B will post photos and updates from Karen as she makes her trek across the country to bring Jenna home. A home you, as our generous donors, helped make happen!